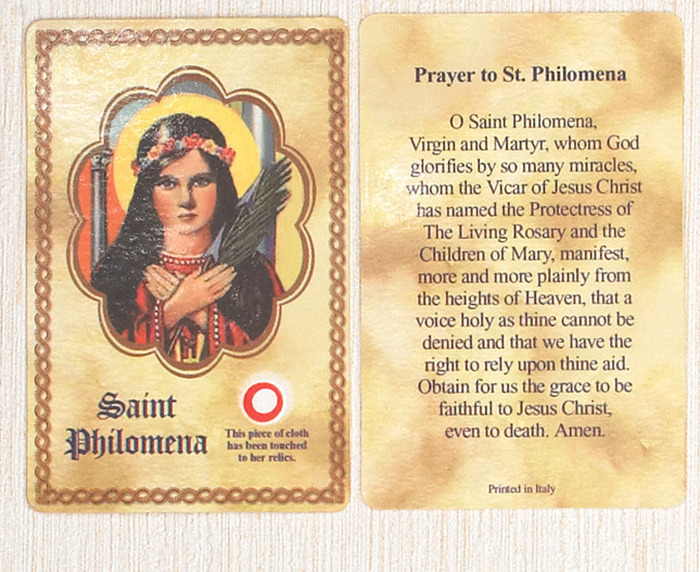 St. Philomena relic cards----This unique collection of prayer cards contain third class relics on the front with the prayer on the back. 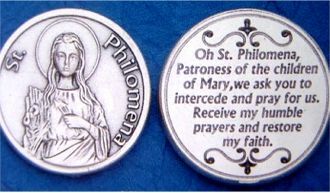 Please note that these are third class relics and are not first or second class but only a piece of cloth touched to a relic or shrine. Please read text around the cloth to see if the cloth was touched to the relic or sanctuary. Proudly made in Italy.